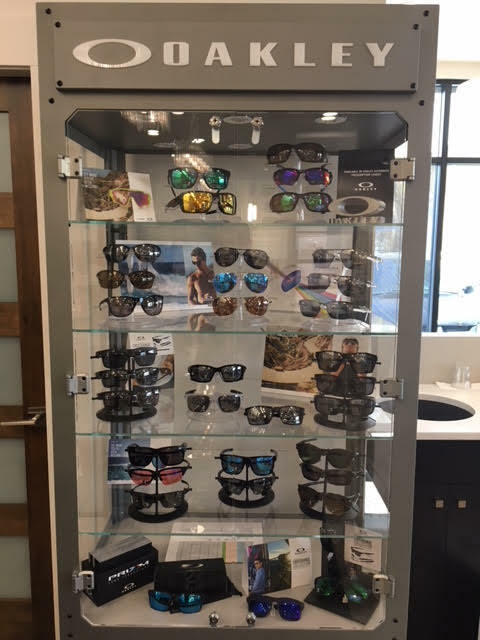 At Discovery Optometry in Vernon, BC, we believe that prescription glasses should not only be functional, but stylish and attractive as well. The right pair of designer glasses will enhance your style and compliment your features. 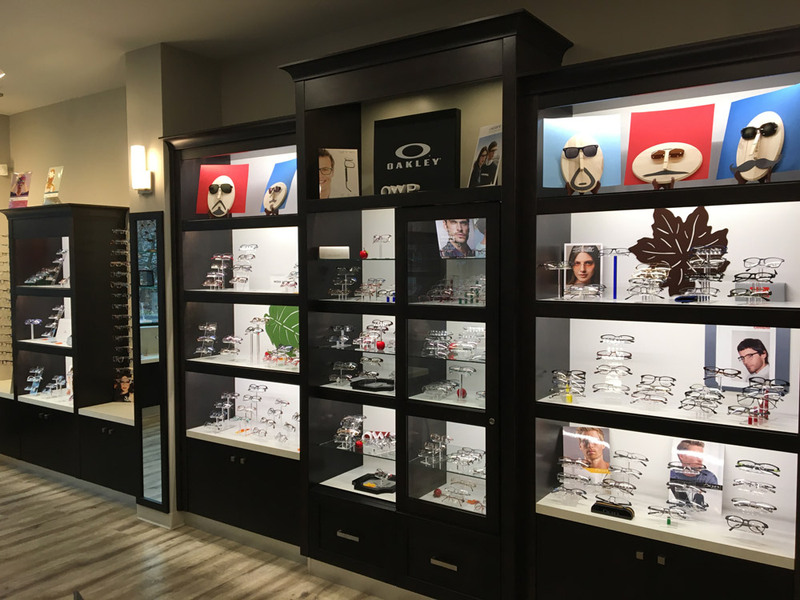 Choose your prescription glasses from the best designers – Silhouette, Ray Ban, Oakley and more. 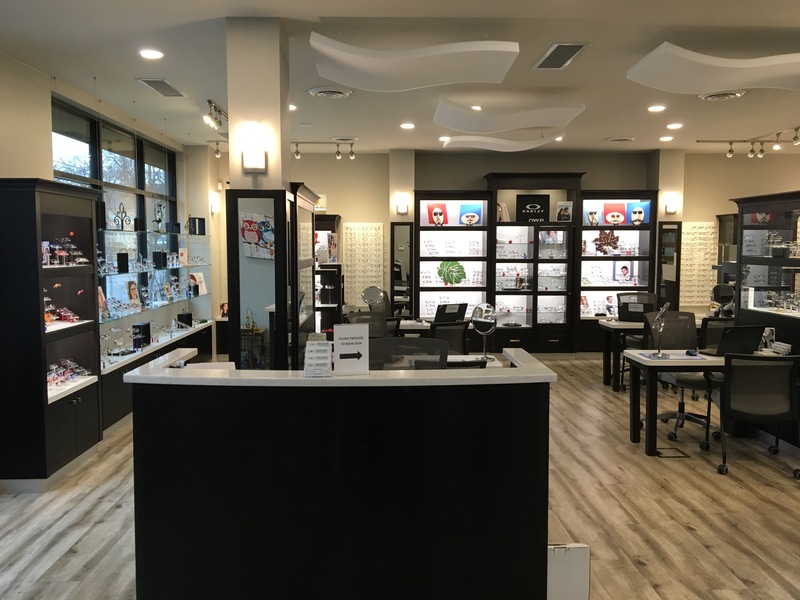 Our friendly and knowledgeable staff look forward to helping you find the perfect designer eyeglasses. Time for New Eyeglasses Frames? When considering new designer eyewear, you must choose a style that appeals to you. Do you like full frame, half frame or four point (no rim)? Do like plastic or metal? Do you have metal allergies? If so, titanium eyeglass frames would be the right choice because they’re nickel free. Whatever custom glasses you choose, make sure they’re something you love and will enjoy wearing. The style of frames you choose should look aesthetically pleasing and compliment your features and your face shape. At Discovery Optometry, we are your vision care specialists. From your initial eye exam to the final fitting of your custom glasses, our eye care professionals are dedicated to your total eye health. 1.Choose from our selection of frames, by our many exciting lines of designer frames like Ray-Ban and Oakley. You can even use your existing frame! 2. Depending on your needs, choose from Single Vision, Bi-Focal, Progressive or Safety Lenses. We also offer high performance Digital Free Form Progressive lenses. 3. 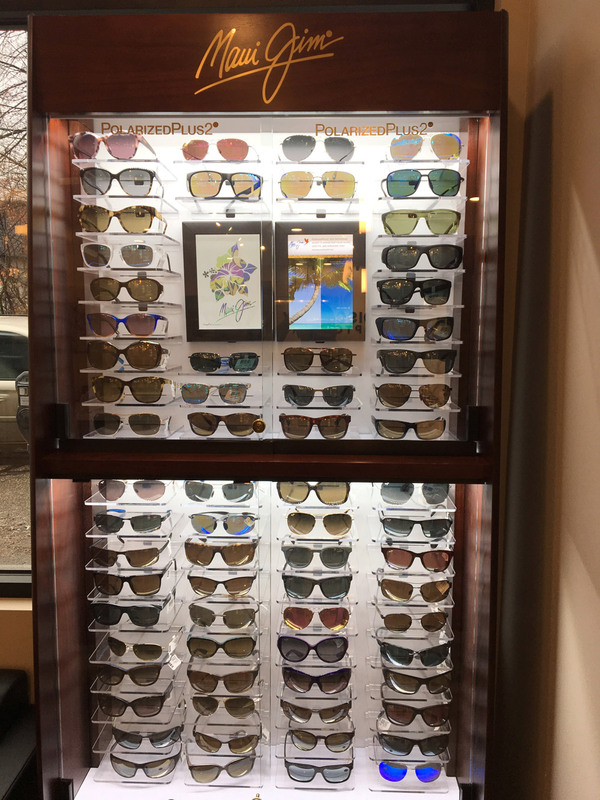 Choose from our extensive options including Anti-reflective coatings, High-Index Lenses, Transition effects, Polarized sunglasses and more. Choose the combination that's right for your needs! The sun emits many different types of light. The types most likely to injure the eye are ultra-violet (UV), blue light and bright or intense light. UV light rays carry more energy than visible light rays, so the eye is at a greater risk of damage from absorbing this type of light. UV light absorption by the eye can cause, or speed up, the progress of several diseases that affect the eye. Most of the damage caused by UVA and UVB rays happens over a long period of time and cannot be reversed. Sensitivity to UV light radiation varies from one person to the next. Blue light is visible light in the blue portion of the colour spectrum. Intense glare of light reflecting off snow or water contains blue light. Your eyes cannot clearly focus in blue light. Some scientists believe routine exposure to blue light over many years may age the retina and increase the risk of blindness in some people over the age of sixty. All light is a form of energy. When your eyes absorb light, the process creates heat or chemical reactions in eye tissue. These reactions can cause permanent damage if the eye’s natural ability to heal itself is overwhelmed. Different parts of the eye absorb different kinds of UV radiation and light. For example, the surface layers of the outer part of the eyeball (the cornea and the conjunctiva) absorb UVB rays. The lens absorbs mainly UVA rays. The retina (the light-sensitive lining at the back of the inner eyeball) absorbs visible light. 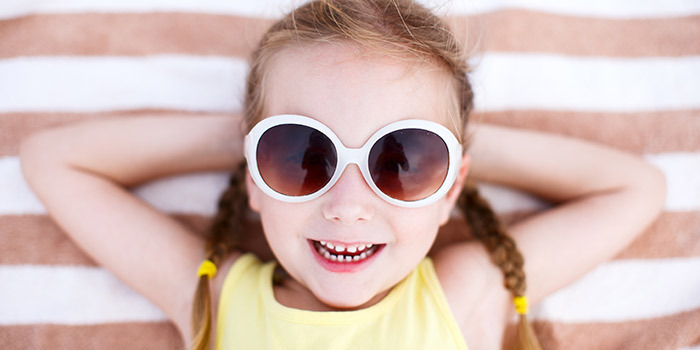 If eyes are overexposed to ultraviolet radiation, the front portion of the eyes may be damaged. If visible light is too bright or intense, or if you stare directly at the sun, even briefly, the retina can be damaged, causing permanent loss of vision (even if wearing sunglasses).